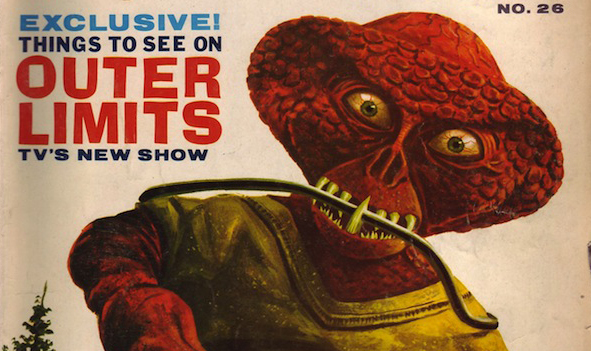 I think I’ve run this one before, but that was just an image I found online — these are scans of my own copy of FM #26. 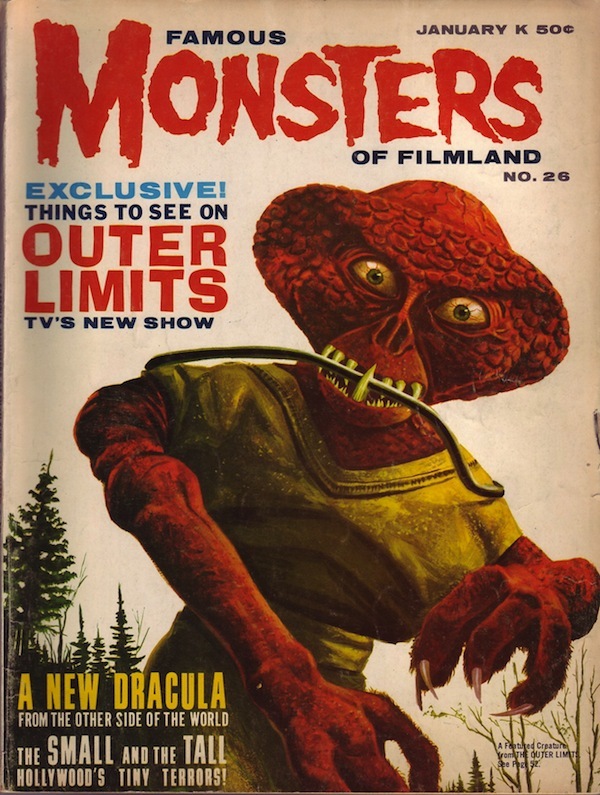 This issue features more King Kong coverage, along with the cover feature on The Outer Limits. 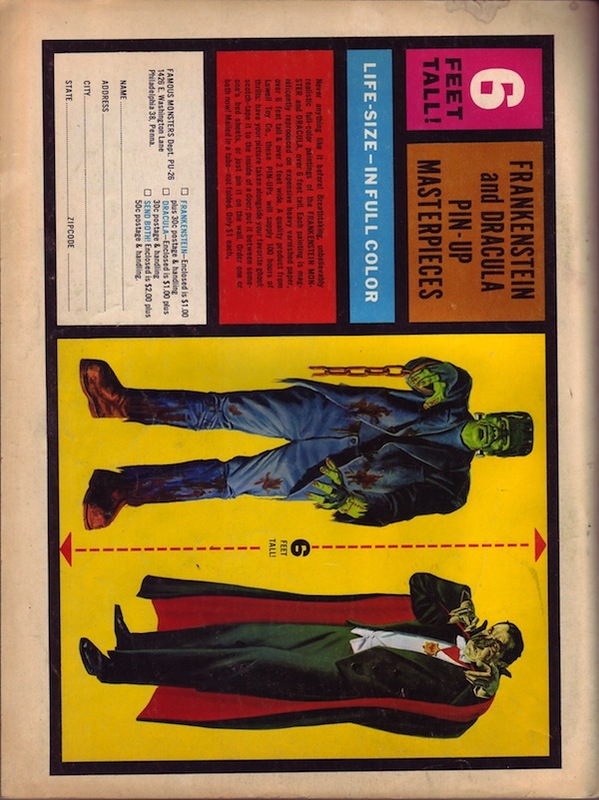 And how about those life-sized Frankenstein and Dracula pin-ups?